Kiss’s drummer Peter Criss sings the song, which he co-wrote with Stan Penridge. The song was written before Criss had joined Kiss, while he was still a member of Chelsea. Criss came up with the melody for the song while on a train to New York City from New Jersey where the band practiced. He and Chelsea guitarist Stan Penridge wrote the song together. Neither of the two women who inspired the song were actually named Beth. A bootleg exists of the song from 1971, but the song was sung “Beck, what can I do?” “Beck” was the nickname of fellow Chelsea member Mike Brand’s wife, Becky, who would call often during practices to ask Mike when he was coming home. Years later, while in Kiss, both Bob Ezrin and Gene Simmons are credited for changing the song’s title to “Beth,” presumably to be more recognizable as a female name. According to interviews with Criss, around the same time, some of the lyrics were changed to reflect his wife Lydia Di Leonardo’s lamentations that she missed him while on tour. So, the song is partly written to Becky and partly to Lydia. The song was a last-minute addition to the Destroyer album. 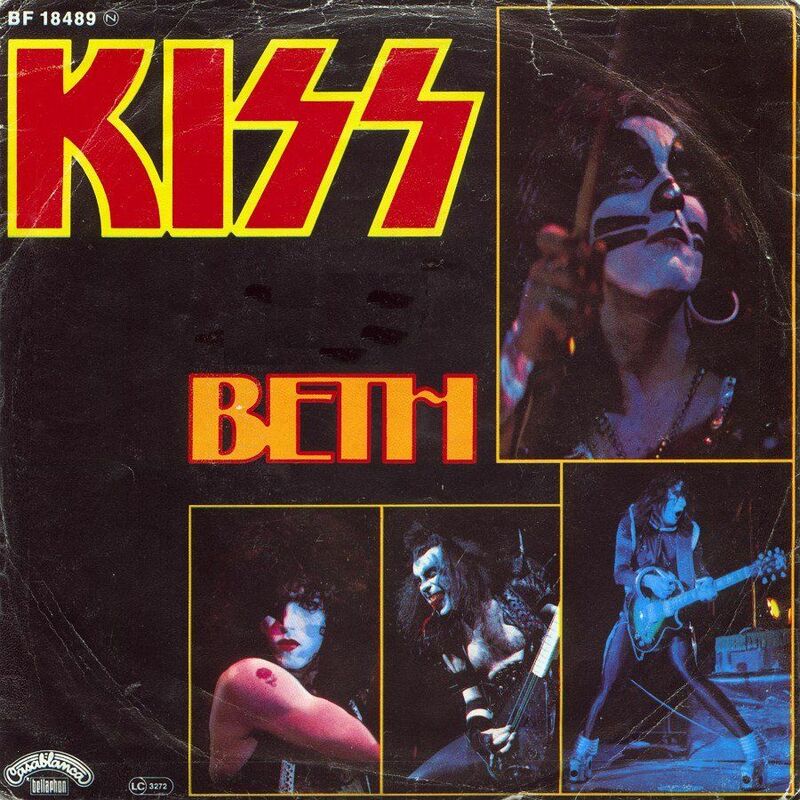 According to Bill Aucoin, the manager of Kiss at that time, Gene Simmons and Paul Stanley did not want “Beth” on the album because it was not a typical Kiss song. Bill insisted on keeping the song on the record. When released as a single, however, “Beth” was initially the B-side of “Detroit Rock City”. But radio stations, particularly one in Atlanta, Georgia, began playing it more than “Detroit Rock City” and it quickly became a highly-requested selection. Kiss and Casablanca Records reissued “Beth” as an A-side with “Detroit Rock City” as the B-side, and it was far more successful. The single went Gold in the United States (the first Kiss single to do so) on January 5, 1977 and in Canada on December 1, 1976. In 1977, Kiss received a People’s Choice Award for “Beth”, one of the few industry awards the band ever won. “Beth” is also credited as invigorating sluggish sales of the Destroyer album, which many fans initially saw as a misstep. It is also the only Kiss song that features no instrumental performances by any member of the band. Criss is backed by a piano and a string orchestra, a stark departure from the hard rock-oriented band.